What are Single In-App Purchases? Single In-App Purchases are described as: “A product that is purchased once and does not expire or decrease with use.” This means that there is a one-time charge that will allow the user to access that specific in-app section for the lifetime of your app. 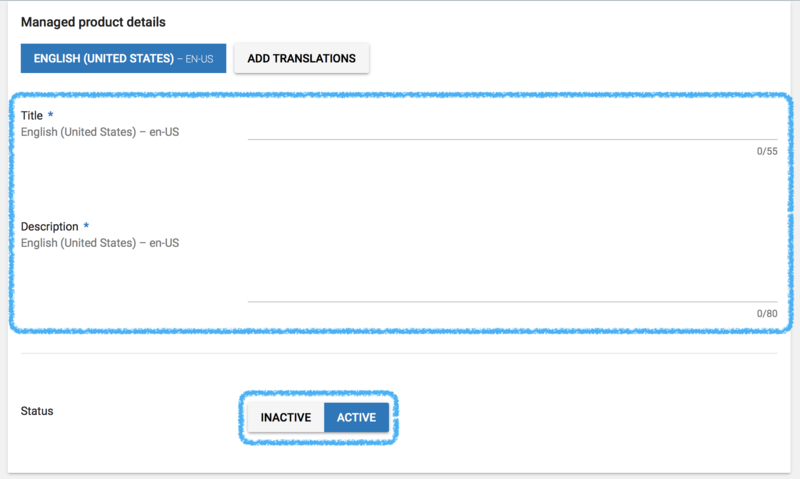 How do I create Single In-App Purchases for my Android app? 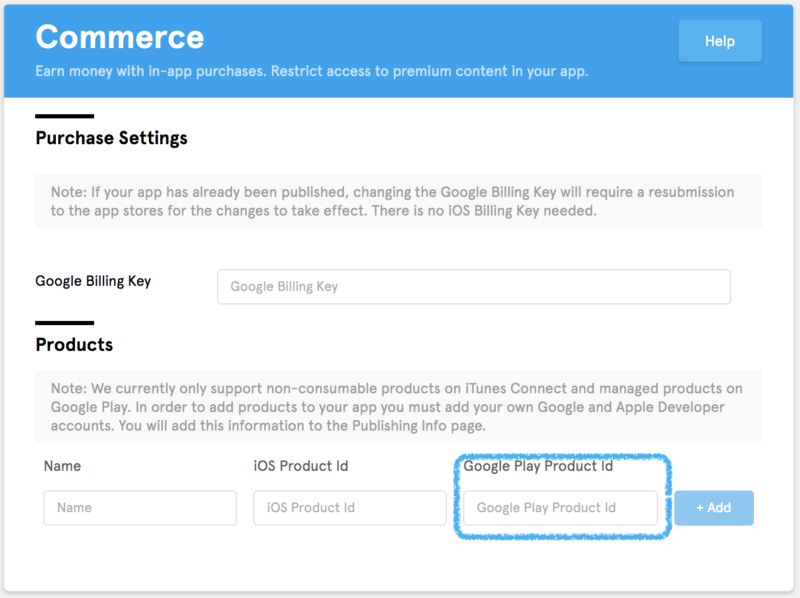 IMPORTANT: Before you can create your In-App Purchases, you are required to: (1) activate a Merchant account in your Google Developer account, (2) upload your License/Billing Key to your app’s control panel, and (3) have a version of your app uploaded that includes your License/Billing Key. If you have not done this yet, view our help article here for the required steps. Step 2: Click on your app’s listing. 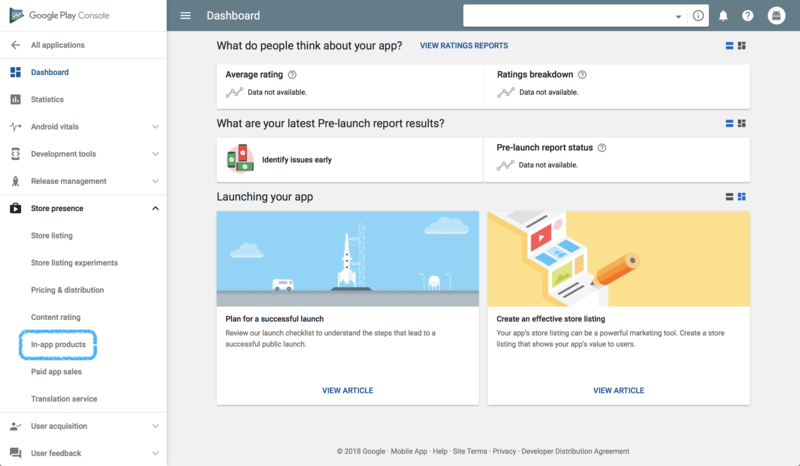 Step 3: Click on In-App Products tab from the menu on the left. Note: If your app was already live on the Play Store and you are just now including In-App Purchases, the In-App Products section is found under the Store Presence tab of your app’s listing. 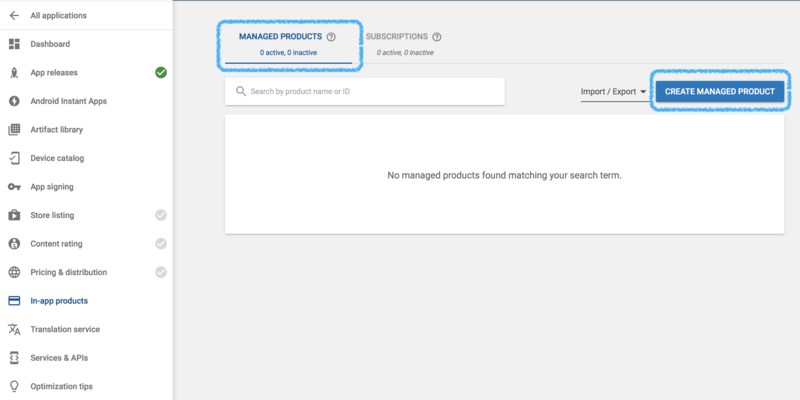 Step 4: Make sure you have Managed Products selected, then click Create Managed Products. Step 5: Input your Product ID. IMPORTANT: It’s a good idea to enter a Product ID that clearly tells you what in-app section this specific purchase will unlock, because you will need to enter the Product ID on your app’s control panel. Also, the Product ID must be composed of lower-case letters ( a-z ), numbers ( 0-9 ), underlines ( _ ), or dots ( . ) without any spaces, and it should start with lower-case letters or numbers. Step 6: Input your Title and Description, then change the status to Active. Step 7: Set a Price, then click Save at the bottom of the page. Now that you have your In-App Purchase created, you need to add the Product ID to your app’s control panel. 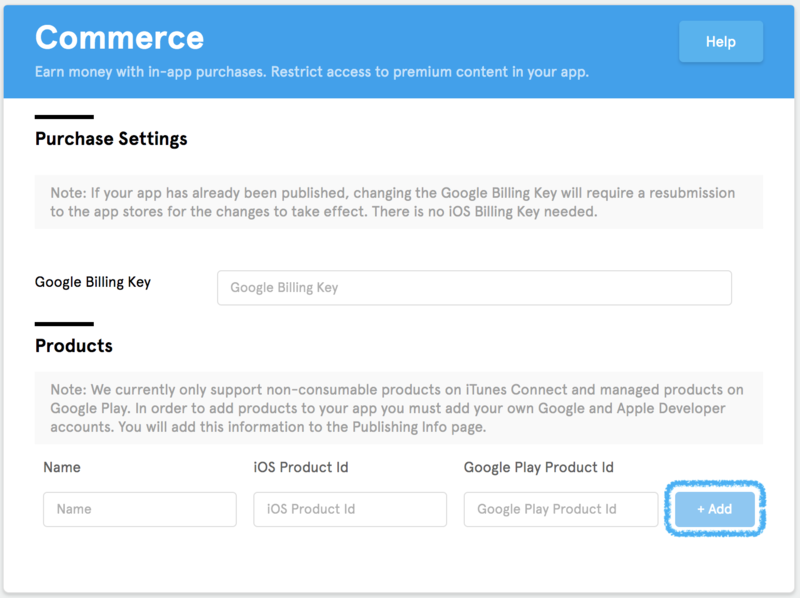 Before you do so, you’ll need to make sure that your License/Billing Key has been uploaded to the Commerce section of your app’s control panel. If you haven’t already done so, you can view our help article here for the required steps. Step 2: Copy and paste the Product ID from your Google Developer account (created in Step 5) into the Google Play Product ID field. IMPORTANT: If you already have the Product ID for the iOS In-App Purchase, make sure to add them at the same time. If you still need to create this for your iOS app, view our help article here.